Hillary’s house of cards is crashing around her. Now Ed Klein is blowing the whistle on other stunning details of her shady political dealings and bitter feud with Barack Obama in a book that just hit the streets. 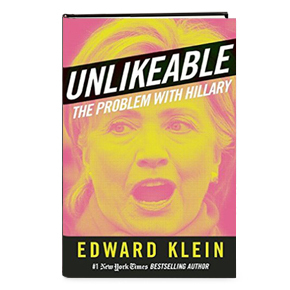 Unlikeable: The Problem With Hillary hammers the final nails into the coffin of Hillary Rodham Clinton’s flagging presidential aspirations. Highly regarded journalist and political analyst Ed Klein has thoroughly documented HRC’s decades-long trail of lies, deception, and conniving. She even dropped an f-bomb on the president of the United States! Hillary simply won’t be able to talk her way out of this one. Especially considering the airtight sourcing and impeccable fact-checking Ed Klein has employed in what some are calling the must-read political book of the year.